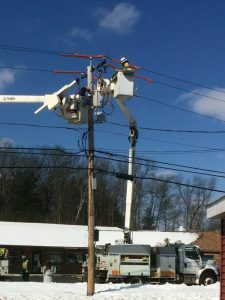 National Grid upgraded our transformer. Electricians Jeff and Ryan wired it up. 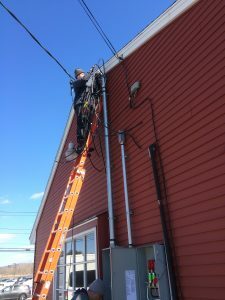 400 amps of 3-phase power at last! We have discovered that when we send an email to an address ending in @gmail.com, it ends up in the spam folder of the intended recipient. We had our email hosting company change a setting to hopefully resolve this but it is quite possible that many of you who have reached out to us may not have gotten a reply if using a gmail account. Clean Glasses! 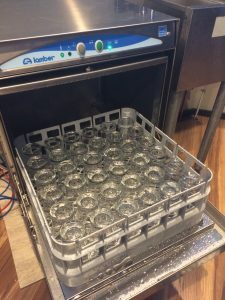 Our glass washer has been installed and is ready to be put to use. Our flight cases are looking good and are getting closer to being filled with beer! 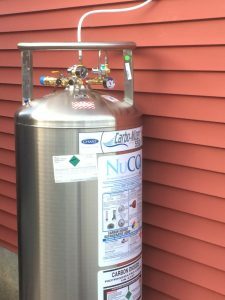 Our bulk CO2 tank has been installed and is ready to add bubbles to our beer! 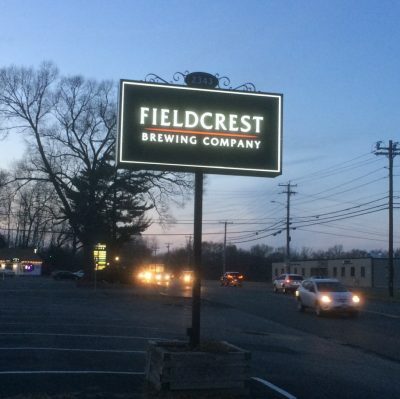 It took a while, but our sign is out in front of the building and looking good! Actual photo of our application. 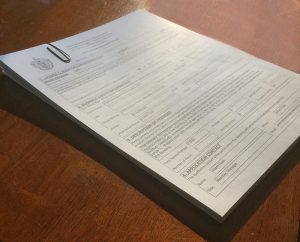 We completed this stack of forms and supporting documents required for our pouring permit application and submitted it to the town this week. 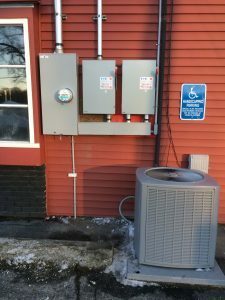 After a hearing with the Board of Selectman, it will be sent to the state for approval. This is the last step in the licensing process and will allow us to serve beer on site. 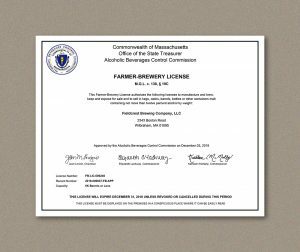 We have been granted our Farmer Brewery License from the MA ABCC. This is great news and another step closer to opening! 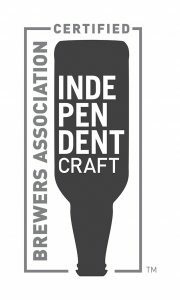 The independent craft brewer seal was launched in June 2017 by the Brewers Association. The Brewers Association (BA) is the membership organization dedicated to promoting and protecting small and independent craft brewers in the United States. The BA defines a craft brewer as small, traditional and independent. 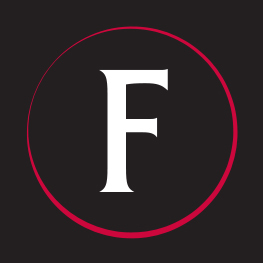 As global beer makers purchase formerly independent craft brewers, knowing which breweries are independent can be confusing for craft beer consumers. 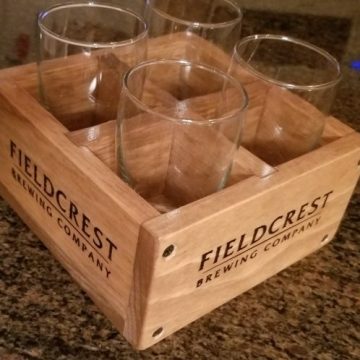 Look for the seal shown on the left to know you are purchasing beer brewed by an independent craft brewer like Fieldcrest. The brewery is getting organized. All the tanks are lined up in position. 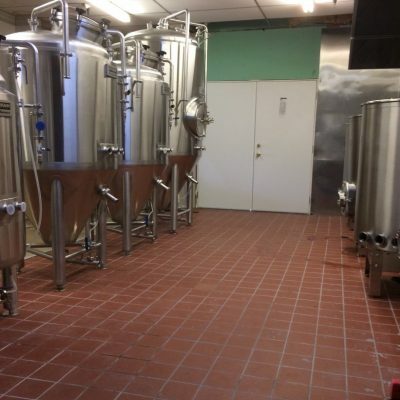 Another step closer to beer! 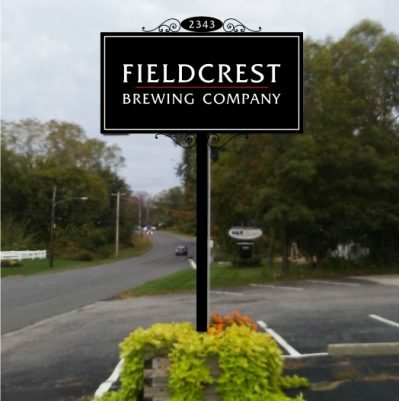 Here is the vision for our new sign. Our friends at Art-Tec Signs are busy making the actual sign that will soon replace the Dana’s Grillroom sign in front of our building on Boston Road. 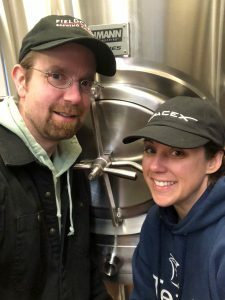 We celebrated our anniversary yesterday by working at the brewery. At least next year there will be beer in the tanks!